Splendyr – How Does Splendyr Anti-Aging Mask Work? 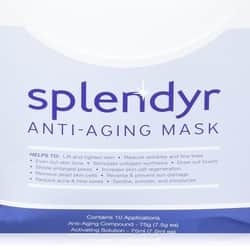 Home » Anti Aging » Splendyr – How Does Splendyr Anti-Aging Mask Work? While many women use facial masks as a regular part of their skin regimen, Splendyr mask has a distinct formula and purpose. Instead of only moisturizing and exfoliating, Splendyr contains ingredients targeted at minimizing wrinkles, age spots, and fine lines. I’m intrigued by the idea of an anti-aging facial mask, especially since masks sit on skin longer and often penetrate deeper to deliver nutrients better than cleansers and creams. Is Splendyr a uniquely effective anti-aging treatment? I investigated further to find out. Splendyr contains natural chemicals, plant oils, and nutrients which have been tested as skincare ingredients. Because there are 13 in all, I researched only a few which caught my attention. MSM is a chemical which contains sulfur. Sulfur is a common treatment for skin disorders like psoriasis, eczema, warts, and discolored skin tone. But, I couldn’t find any specific studies showing MSM or sulfur reduce wrinkles. When and How to Use Splendyr? Splendyr is safe to use 2 to 3 times a week. Wash and dry your face before applying Splendyr. Leave the mask on for 10 minutes before washing it off. I couldn’t find any information about whether Splendyr should be used at night or in the morning. According to Splendyr.com, positive skin changes should be evident after the first application. Splendyr’s website features feedback from many women who’ve already used this wrinkle-reducing face mask. These women noted many benefits from using Splendyr, including reduced dark circles, smaller pores, softer skin, brighter skin tone, and less puffiness. 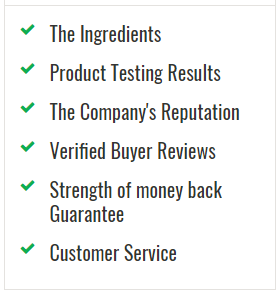 These benefits are consistent with Splendyr’s ingredients, so I believe these women’s reviews. Still, I recommend searching for Splendyr reviews posted on an independent website because they’re more likely to be unbiased. Splendyr can only be purchased online. When purchasing through the official website, first-time Splendyr buyers have the option of getting 1 sample jar or buying 3 Splendyr jars at once. However, be aware the sample jar is only cost-free for 15 days before you are charged full price. And, if you fail to cancel future orders, Splendyr jars will regularly be shipped to you, also at full price. Splendyr’s makers have a 30-day “no questions asked” return policy. To initiate the return process, call customer service at 888-423-0987 or email support@splendyr.com. Splendyr is yet another skincare product with great ingredients but not-so-great billing policies. Consequently, I’m torn about whether to recommend Splendyr as an anti-aging skin solution. I love the scientific evidence behind the ingredients and the great reviews Splendyr gets from women. Plus, I like that Splendyr is a mask I can use a few times a week instead of needing to use it daily. But, the limited-time sample and auto-ship options make me wary. If they don’t bother you, give Splendyr a chance to reduce wrinkles and other signs of aging.